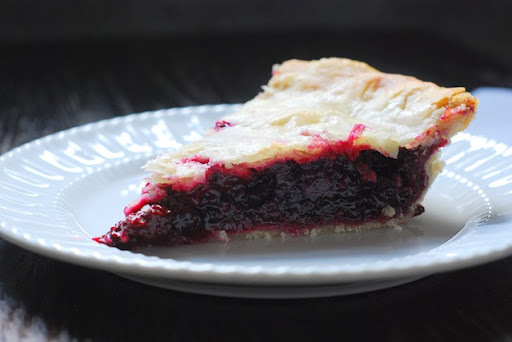 One of the very first things that I learned about my mother-in-law, Alice, is that she makes an incredible blackberry pie. 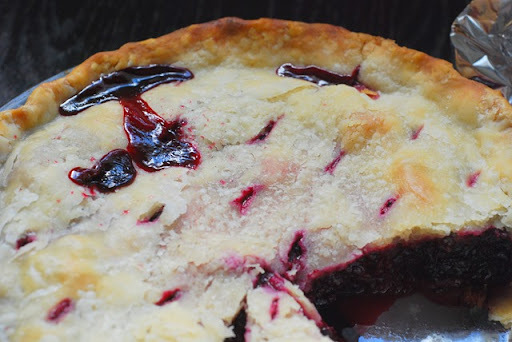 It is sweet and deliciously tart with a soft, flaky homemade crust. 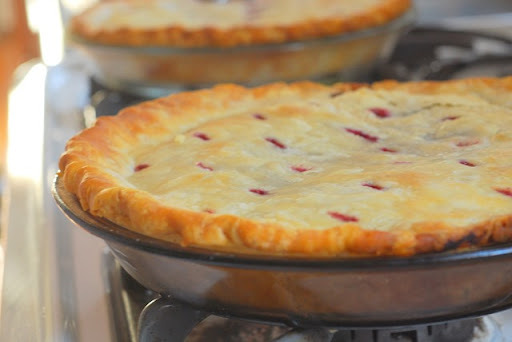 The best part is that the pie is nice and solid when you cut into it, so that the fruit filling doesn’t ooze out onto the plate. 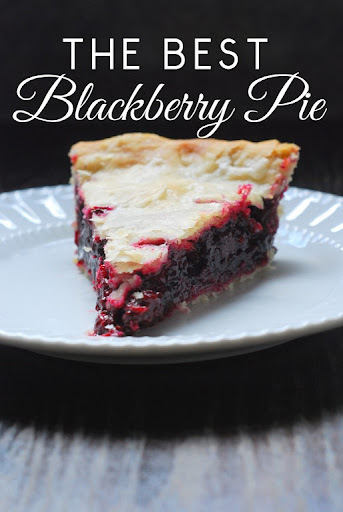 Alice credits the origins of the blackberry pie to her mother-in-law, Steve’s Grandma Gloria, who passed away in May. And now it’s not a holiday without blackberry pie and a dollop of vanilla bean ice cream on top. I’ll let you in on this famous family recipe. You’re going to love it! 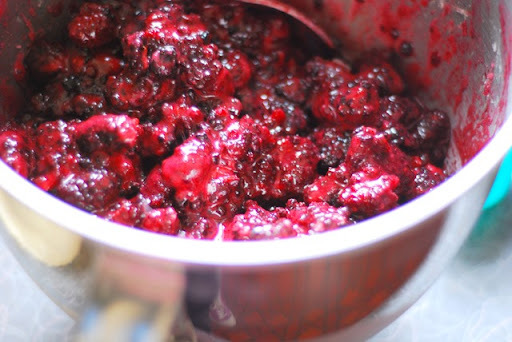 In a large bowl, combine blackberries (can be slightly frozen still), 1 cup sugar, cornstarch, salt, cinnamon, and lemon juice. Set aside. In another bowl, combine flour and salt. Next add oil, and mix until grainy. Sprinkle with water. Mix to moisten. 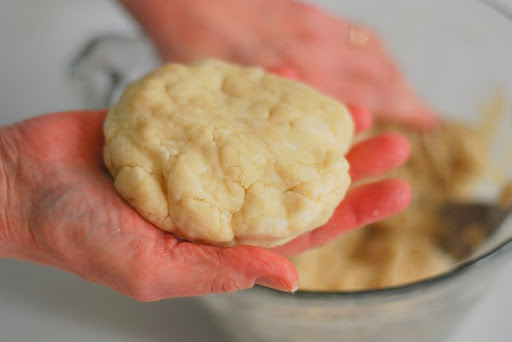 Add another tablespoon or two if the dough seems like it needs to be softer or more pliable. Form dough into two balls or patties. Use the larger half for the bottom pie crust. Roll out each half between 2 pieces of wax paper. 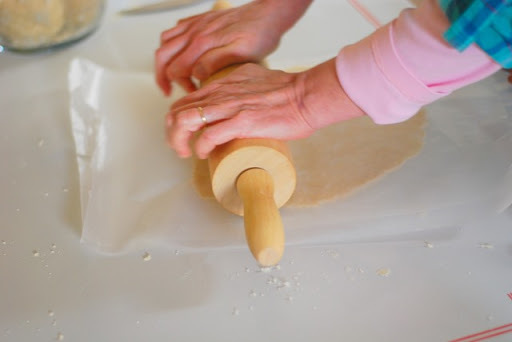 Remove one piece of wax paper from the larger rolled-out dough. 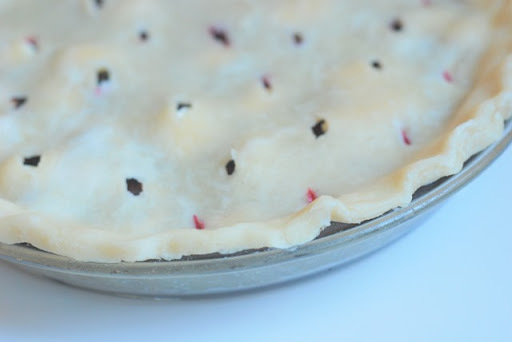 Place the dough paper-side up in a 9-inch pie pan. Peel off the paper. Press the dough into the pan. Trim, leaving a 1/2” overhang. Fold under. Pour in the filling. 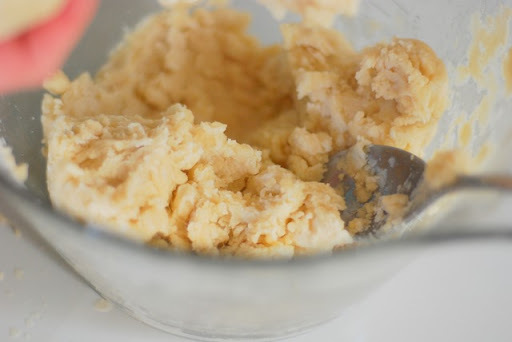 Cut up little pieces of butter and scatter them on top of the filling. With a knife, make slits into the top half of the dough. 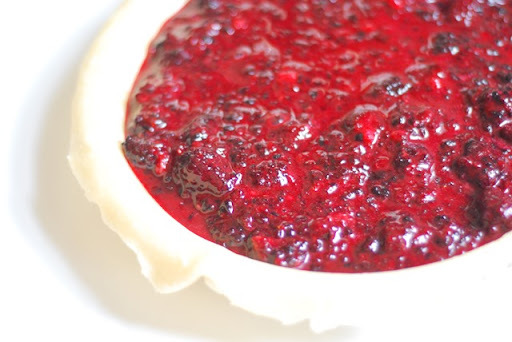 Unpeel the wax paper, and lay the dough over the pie filling. Trim, leaving a 1/2” overhang. Fold under and flute edges. Bake at 400 degrees for 40-45 minutes or until the crust is golden brown. 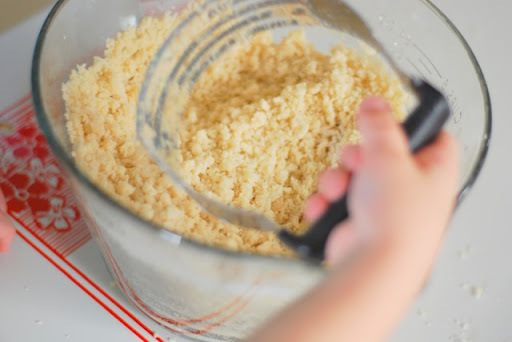 Linking up with Andrea for Recipe Club. This looks delicious!!! I have NEVER made a homemade pie crust. I think I might have to try now. My husband would love this! Every year he requests Blackberry Cobbler on this birthday. 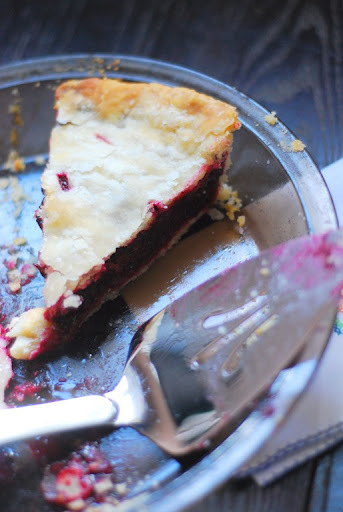 I like that your blackberry pie is easy to cut into and doesn't ooze all over the plate.